Scan the short descriptions of the following blacksmith related tools and products. For further information on each just click on the links. If you have questions about one of the products just email me, but allow several days for me to get back to you. Please note all prices are subject to HST (13%). 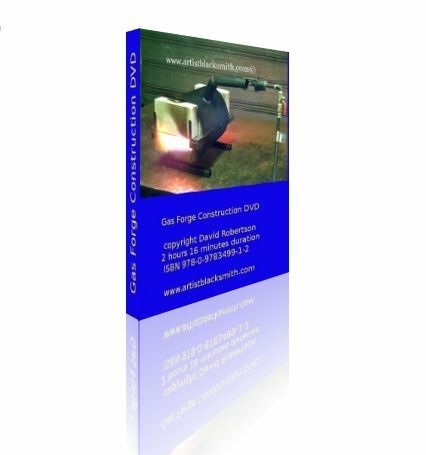 This 83 page ebook covers construction of the above Atmospheric pipe forge and a bonus square box blower forge. There are over 90 detailed pictures showing every step of the process of construction. 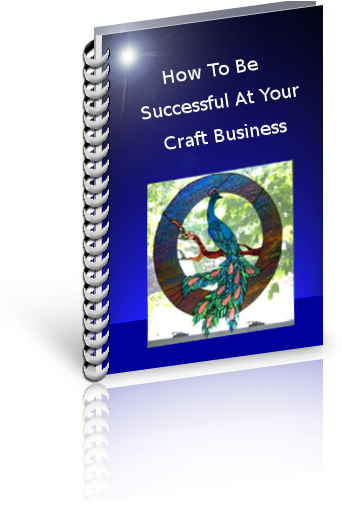 The book is in PDF format so you can easily print off pages to use in your shop. Click the above link for more details. This air hammer is ideal for the smith that works in a one person shop and wants to take smithing to the next level, with bigger stock sizes and easier production. 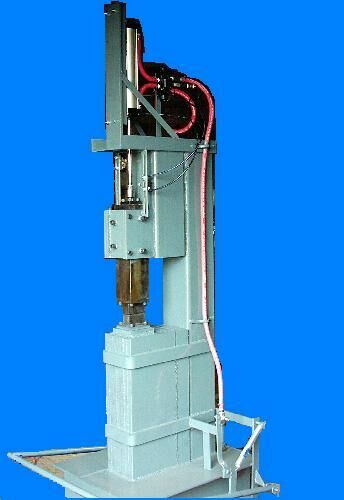 For more details click on the above link for the Air Hammer Page. $6000.00 CND plus taxes (price subject to change depending on parts prices). 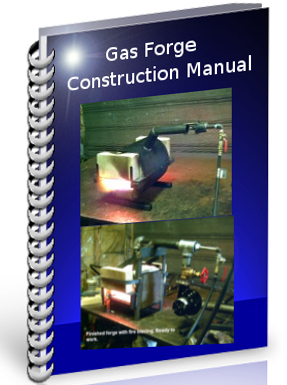 Gas Forge Construction Video dvd. 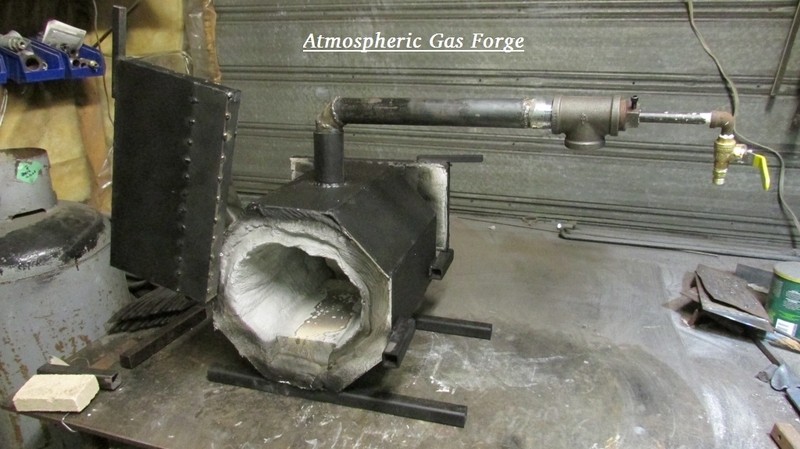 Learn the theory and practice of gas forge making. 2 hours 16 minutes long. Video includes safety precautions, suppliers, parts list, chamber construction, burner construction, orifice construction, insulating, coating, tuning the burner, and initial firing. Click the link to head to the educational video page. Please note I have suspended sales of the dvd until further notice. Sorry for the inconvenience. Regular Price $25.00 CAD plus $10.00 shipping. Members Price $20.00 CAD plus $10.00 shipping. I would consider it a starter forge. You will be amazed at how much work you can do in it. Please note this is an unrated propane appliance and as such you use it completely at your own risk! The interior of the forge chamber is 12 inches long and 8 inches in diameter. The forge includes chamber, burner, hose, and regulator. This is the updated version and has insulated hinged doors. You will have to supply a propane tank. A 20 lb barbeque tank lasts about 8 hours. More convenient is a 40 lb propane tank. Please Email me for availability and and any shipping quotes. This forge has the same chamber construction as the above atmospheric forge but has the addition of a blower and gate valve system for air control. Please note this is an unrated propane appliance and as such you use it completely at your own risk! 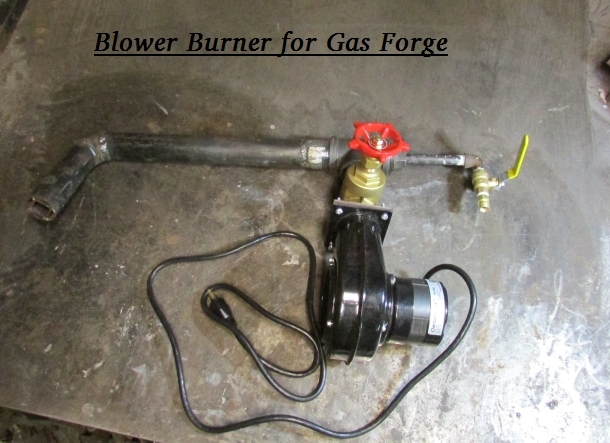 The forge includes chamber, burner, blower, gate valve, hose and regulator.You will have to supply a propane tank. A 20 lb barbeque tank lasts about 8 hours. More convenient is a 40 lb tank. The forge is heavy so it is best if you can pick it up. Please Email me for availability and any shipping quotes. This is the same burner used in the above forge. If you wish to create your own chamber then 1 or 2 of these burners could be ideal for you. The burner comes with nozzel, orifice, ball valve, and reverse thread acetylene fitting. It is tuned and ready to go. The burner comes in a 100,000 btu size. 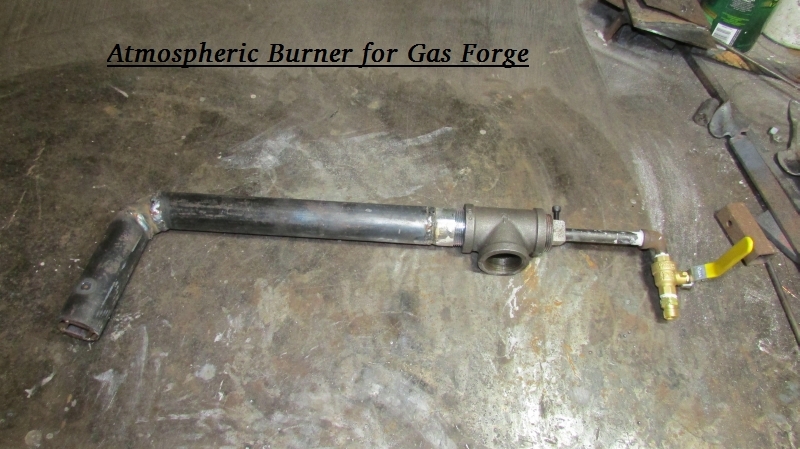 This burner is suitable for forges up to 340 cubic inches interior space. Pease note this is an unrated propane appliance and as such you use it completely at your own risk! You will have to supply hose and regulator, and propane tank. Ther burner includes burner nozzel, orifice, ball valve, acetylene reverse flare fitting, gate valve, 110 volt blower. Ready to be added to your constructed chamber. Please note this is an unrated propane appliance and as such you use it completely at your own risk! This is 100,000 BTU burner and is suitable for forges with a max interior volume of 340 cubic inches. 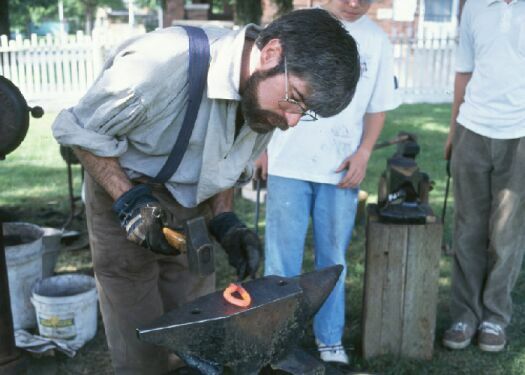 Basic Blacksmithing Class, Intermediate, Knife Making, Gas Forge Construction, etc. Most course are spread over a weekend. Specialty courses are available in one or two day formats. Click on the link for more information prices and schedule. Member's Price $480.00 CND Includes HST. If you would like more information about this book, which you can download in pdf format. Introduction to Blacksmithing, Historic Blade Smithing, and Forging the Viking Age. For more information click on the link and you will be taken to his products. Please note if you purchase one of these videos you will be dealing with The Wareham Forge. Any questions should be sent to Darrell. Darrell has been an educator for many years and his videos are worth investigating. This is a 236 page ebook written in 1912 as a course of study for manual training in highschool. The book concentrates on forgeing practices, skills and tools. It is very much a how to book. The second half of the book is dedicated to the steel making industry at this time. Although dated there is much useful information in the book. A word of caution some of the descriptions can be misleading from a modern perspective (eg naming of the colors of steel). Please use the information with care. We have learned alot about the dangers in this craft that were not important in 1912. The book has been scanned in page by page so you will find blank pages etc. It is in pdf format so you will need Adobe reader to view it. The file is 22 Mb. On dial up it takes close to 2 hours to download. On highspeed it takes perhaps 5 minutes. Click on either the Buy Now button or the Members Price to pay. The ebook may be purchased for the regular price of $40.00 Through the extra information link above or if you are a member you may purchase for $20.00 through the membership discount area. 50% savings! Is the best source for welding information I have come across. 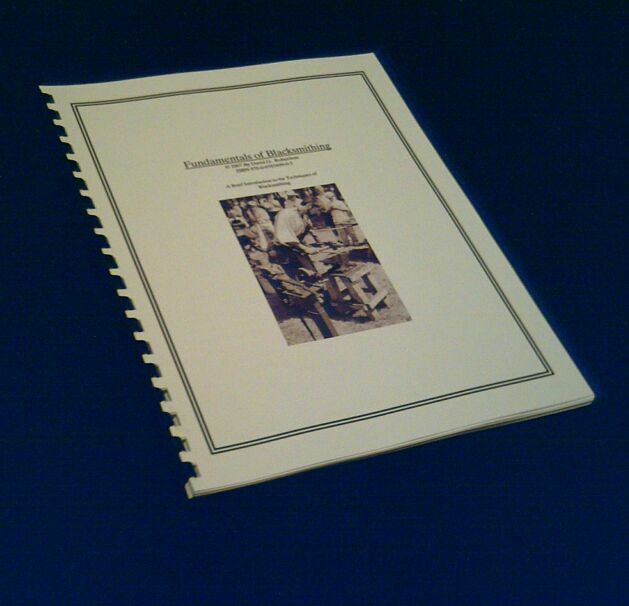 It is over 1200 pages long with over 600 pages of text and over 500 pages of photos and diagrams. The price of $37.77 is paltry compared to the actual information you get on all facets of welding. Click on Welding Secrets Revealed for more information . 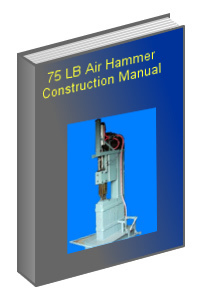 This downloadable ebook details the plans needed for constructing your own Air Hammer. 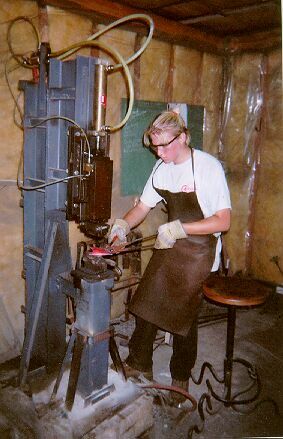 You can save several thousand $ dollars by building your own blacksmith power hammer. This machine has saved me countless hours of work and has opened amazing possibilities for forging the steel. For more information on what is included in this manual click on the blue title link above. This is a work horse for the serious knife maker. The variable speed allows you to work effectively on softer materials such as wood, bone, and plastics for handle material. Slow belts speeds prevent burning, or melting of the softer materials. Higher speeds for moving the metal the fastest. The 2 inch by 72 inch belt is the standard for Knife Making and allows the purchase of many off the shelf high quality belts. 220 volts. This is the more economical belt sander for knife making if you are just getting started. It is 110 volt instead of the 220 volts in the above Belt Grinder. You can find a reasonable assortment of grit sizes. A compact sturdy tool. 1/2 hp single phase. A number of years back I built a 20 x 20 addition on the back of my previous workshop. I basically just went from a plan in my head. Blacksmith right, handy, able to figure things out on the fly. Well it worked but it would have been a whole lot easier if I had some plans to follow. If you have taken up blacksmithing and find that you need a structure from shed size to a 50 by 60 foot building for a large shop this ebook has 1200 different plans for you to work from. If you are building a structure take a few moments and see what Ryan Henderson has to offer in his ebook. Just Click on 1200 Shed Plans to get more information. 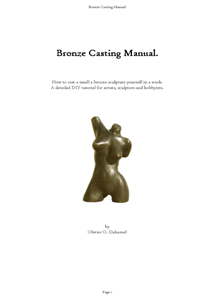 Bronze Casting Manual Click Here! This Ebook is 114 pages long and priced extremely cost effectively at only $16.00 US. Olivier Duhamel is an artist in New Zealand who specializes in human form sculpture. These bronze casting techinques are applicable to creating knife hilts or sword pomels. 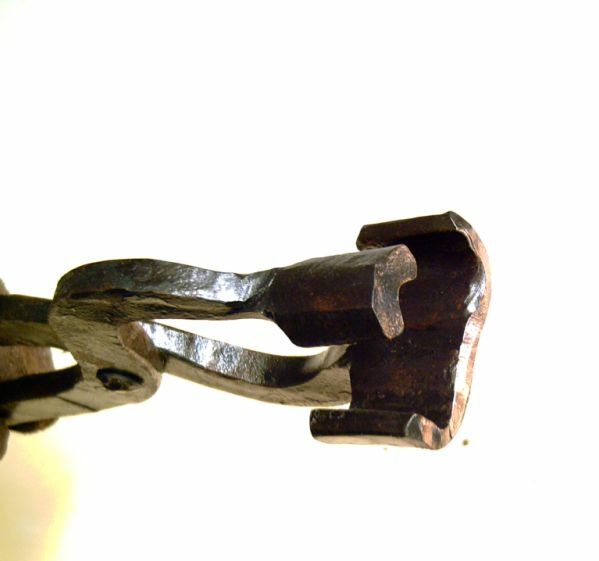 The techniques could also be used for bronze figure heads as additions to your ironwork. Just click on the image and you will be taken to more information. The Bronze Casting Manual is the second down on the list. For More Details just click on the image or the above link. I recently came across these plans for building your own knife grinder. The plans show how to build it with out having to do any welding. Of course if you have a welder it will only make it better. Construction is simple with only cutting and drilling holes. This is an excellent tool if you are into making knives. The cost of a factory made belt sander can be well above $1000.00. Building your own will save you a ton of money. Be aware that motors, bearings and contact wheels do cost a significant amount of money, but you are building an excellent quality tool. Click above title to be taken to the information page. Tongs are a vital tool for the blacksmith shop. You can make your own with very little cost. This step by step manual covers 6 different styles of Tongs in detail. More shapes are covered in the Appendix. Total pages in this ebook is 102 and is packed with pictures. These are an economical Clip On Safety filter glasses that will fit most perscription and clear safety glasses. Suitable for high temperature forge work such as forge welding. Although there is a color shift with the green tint I found it was pretty quick getting use to the new color range. I find them much cooler on the eyes than my usual rose didymium. I recommend using them for all your forge work. Just click on the image above for pricing information, or to purchase. These are a very economical solution for protection in the blacksmith shop. 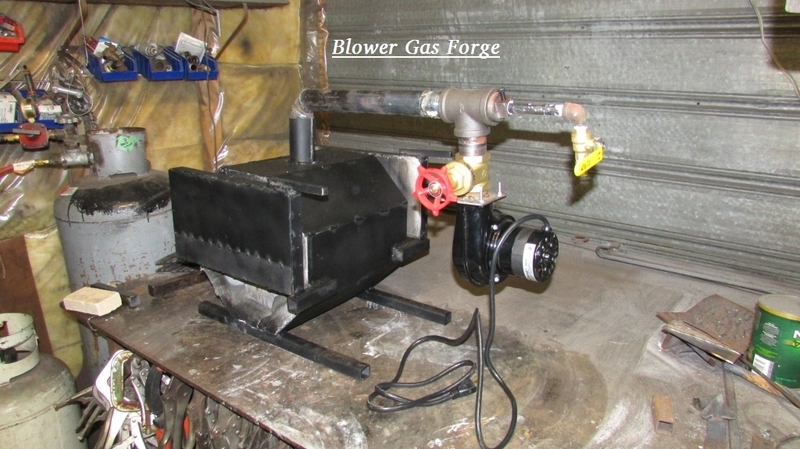 This blower puts out adequate cfm for the gas forges described in my Gas Forge Construction Manual (item 1 above) It also has a separate cooling fan to help prolong the life of the motor. It has a mounting flange but you will have to construct a receiving flange and possibly a mounting bracket. The Grizzly Belt Sander is one of the lowest cost 2 inch by 72 inch belt sanders on the market. I had opportunity to try one out when I was at New York State Designer Blacksmiths meeting. It ran almost silently and had a very smooth operation. It takes a bit to get the tracking just right but after, it is easy to use. I built my belt sander years ago and looking back I would have been much further ahead to buy this tool if I had known about it. The only advantage with the one I built is that it has a 1.5 HP motor. If you do a lot of torch work this Gas Saver will pay for itself in saved fuel and oxygen many times over. 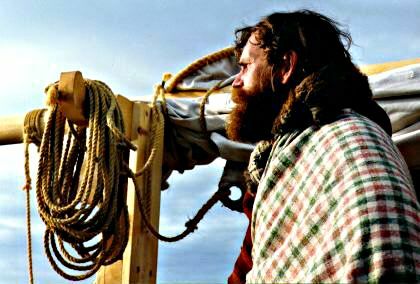 It is designed to shut off the flow of fuel and oxygen when you hang the torch up on the hook. There is a pilot light that allows quick ignition with keeping the same settings just by lifting the torch then moving the nozel to the pilot light. Then you are back into business. Very useful in operations requiring a lot of moving and adjustments then repeated heating. An ounce of prevention is worth a lb of cure!. These flashback arrestors prevent a torch blowing up if there is a plugged tip and combustion starts inside an heads back to the hoses. I have had a torch that started inertanl combustion. Very scary and very hot in the hand. I have seen a torch that blew up from the gasses being forced back. Fortunately I was not holding it. These two units mount on the torch body on the acetelyne line and the oxygen line. Peddinghaus makes excellent quality tools. This 77 lb anvil is ideal for starting out in blacksmithing. If you are interested in Knife Making it may be all the anvil you ever need. Make sure you mount it well on a stump or stand as this can effectively add to the mass of the anvil if it is well secured. This is a heavy duty anvil for the most demanding shop. If you are looking at architechtural work or sculptural work this would be an ideal anvil. Larger mass means you can effectively work larger bar sizes. 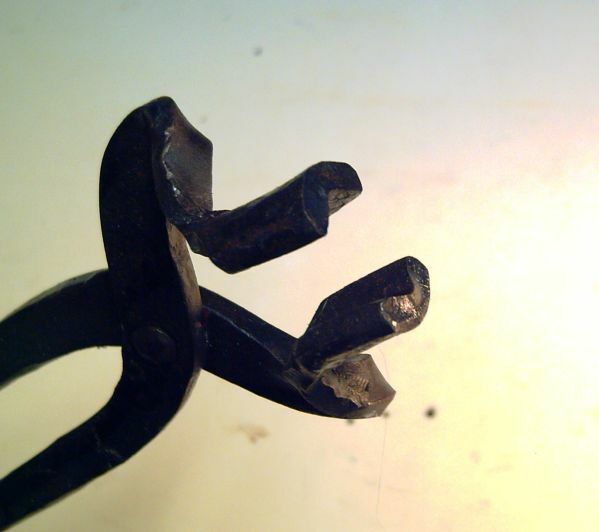 Small items such as knives can be worked easily on a big anvil especially with the flat horn. This is an excellent hammer for blacksmithing or blade smithing. Wood handle for the flexibility of carving it to fit your own hand. This size of hammer I use in the shop for general detail work. Lots of reach on the cross peen. Same pattern as above but with an extra 1.3 lb of weight for serious moving of hot metal. This is a high temperature infrared thermometer. It will reach well above the quench temperature of most blade steels. It will also work in casting applications as well. I bought this for heat treating S35VN stainless steel and have been quite pleased with the operation. I do find the laser beam is a touch off targeting. I would practice with mild steel to make sure your targeting is accurate. Blades are pretty small and you want to make sure you are reading the right area. 2822 Deg F is well above the melting point of steel. You could use this for checking forge welding temps although I have not done this yet. Items can be paid for by Pay Pal or Visa over the phone. Please contact me for availability of larger items and estimated completion date. Note all links may lead to sponsor websites.